The recycling industry has created many job opportunities – it also is one of the most hazardous industries to work in. According to the U.S. Environment Protection Agency (EPA), sending a ton of waste to a landfill or an incinerator reduces job opportunities by ten times more than if it was sent to a recycling unit. Just as the recycling industry creates job opportunities, it also is one of the most hazardous industries to work in. EPA statistics reveal that recycling industry workers have an elevated risk of fatality and injury at work. Injured workers often do not get enough compensation for their injuries and some injured workers are unaware of the fact that they can hire a St. Louis worker compensation lawyer to protect their legal rights. Hazardous materials such as used needles, poisonous chemicals and noxious items, shards of glass, rotten food, dirty diapers, and dead animals often make their way into the recycling system, posing a serious threat to the health of workers. Such materials can cause a number of illnesses and injuries. Recycling industry workers use heavy machinery, including forklifts, conveyor belts, crushing machines, balers, front-end loaders, huge bales of sorted waste, and compactors. If these types of machines are handled improperly, they can seriously injure a worker, causing permanent disability and even death. 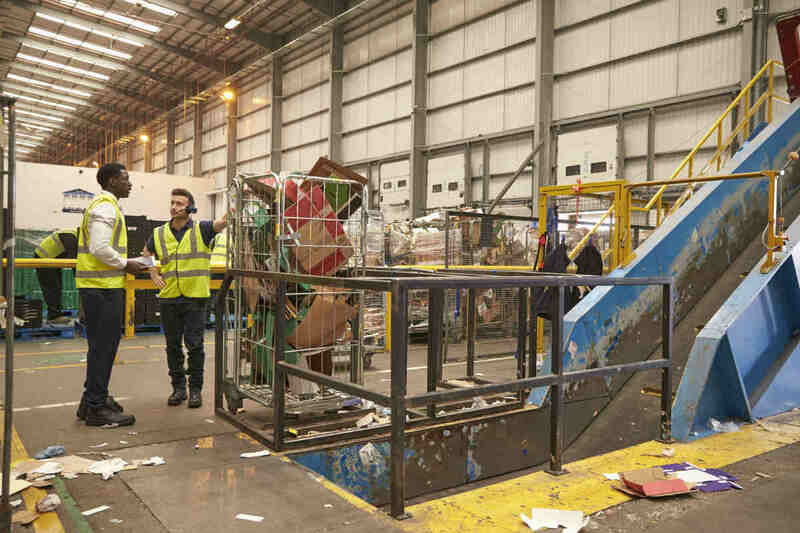 Despite available machines, a large part of the initial sorting of the recyclable waste takes place by hand. Continuous movements like sorting, bending, and picking can lead to repetitive stress injuries, fatigue, and many musculoskeletal disorders over a period of time. According to data collected from the Occupational Safety and Health Administration (OSHA), 2 out of 3 workers suffer job-related injuries and about 57% of injured workers suffer from musculoskeletal back injuries. Recycling workers have complained of unsanitary work areas and lack of cleanliness. Many also complain that it is uncomfortable to work in recycling facilities due to excessive heat, cold, toxic waste giving out smell and dust, and exposure to high levels of noise and vibrations. These conditions can expose a worker to hearing disorders and loss of hearing, sleep disorders, extreme stress, and cardiovascular disorders. A large number of workers in the recycling industry work as temporary employees. While companies save on hiring costs, workers lose out on employee benefits. Temporary staff is paid less and undergo less training that is essential for their safety. Temporary workers may not readily open up to their managers about the hazardous environment or lack of training and may not report injuries out of fear of losing their jobs. Recycling facilities are required to take appropriate steps to make the basic working environment less hazardous for their employees. This includes providing adequate training, conducting regular inspections of the machinery and recycling plants, ensuring sufficient staffing, providing compensation benefits, and providing essential protective gear for workers. Employees who have been injured at work should consult a St. Louis workplace injury lawyer to ensure that they receive the benefits that they deserve. Call The Law Office of James M. Hoffmann at (314) 361-4300.